3 Bedroom Semi Detached House For Sale in Ventnor for £210,000. Just 6, Three Bedroom Holiday Cottage's available with direct views of the Lake... ......AVAILABLE TO VIEW NOW. The Lakes, Rookley is an idyllic holiday park situated in 23 acres of beautiful parkland. This immaculately landscaped park enjoys a secluded yet central location at the heart of the Isle of Wight. There are both two & three bedroom cottages available to choose from boasting various features to suite every lifestyle. Ranging from lake views, hot tubs and per friendly accommodation. Each cottage comes fully furnished, includes integrated appliances, and offers a fully managed subletting scheme. 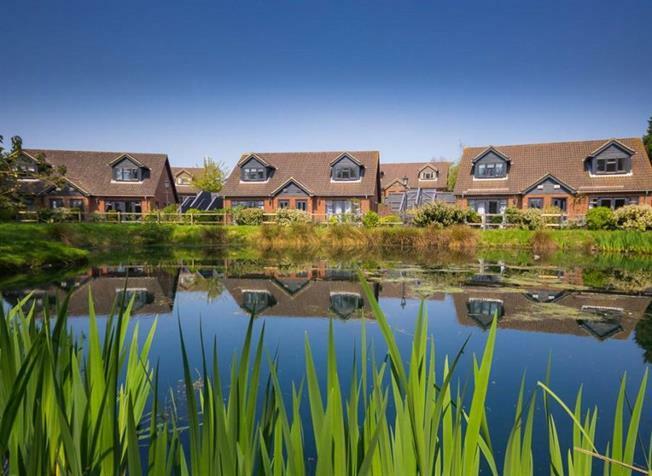 With a REFURBISHED club house on site excellent facilities, and a stunning lakeside terrace making Rookley Park the perfect family holiday entertainment venue, whether you are looking for regular short breaks or a summer long holiday.